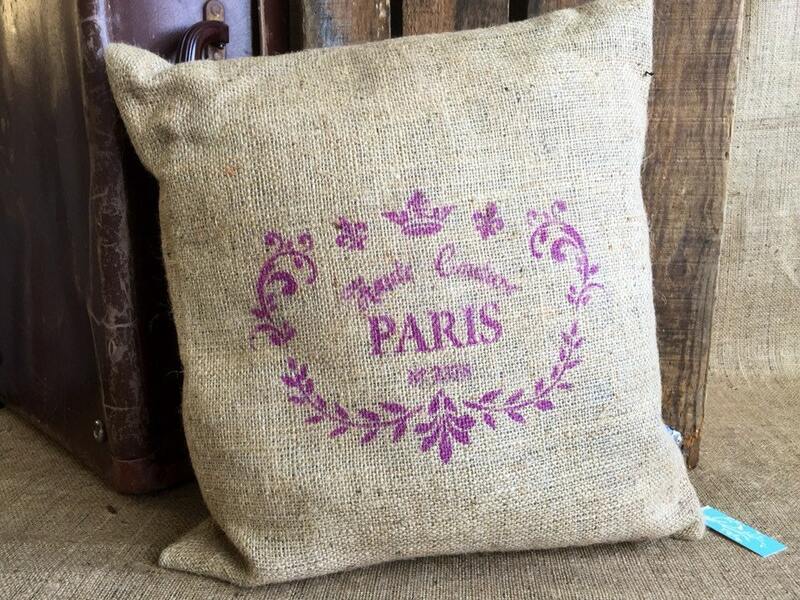 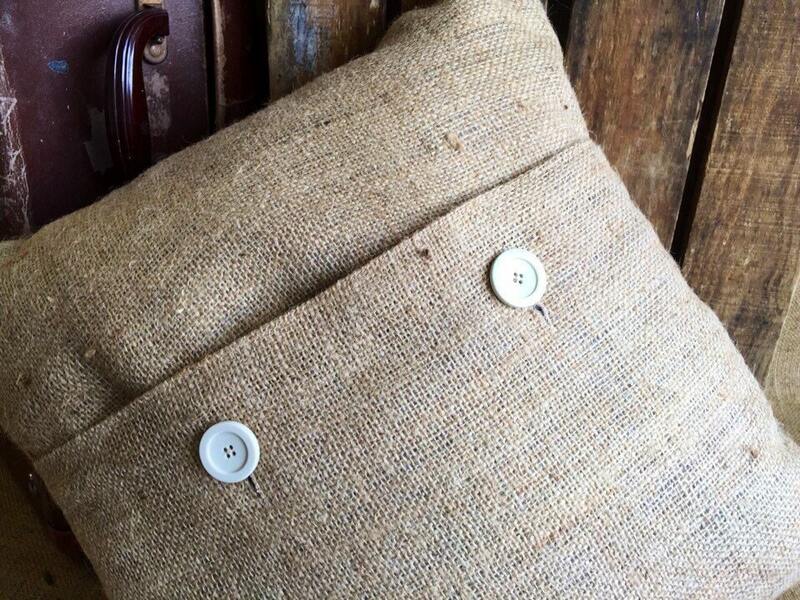 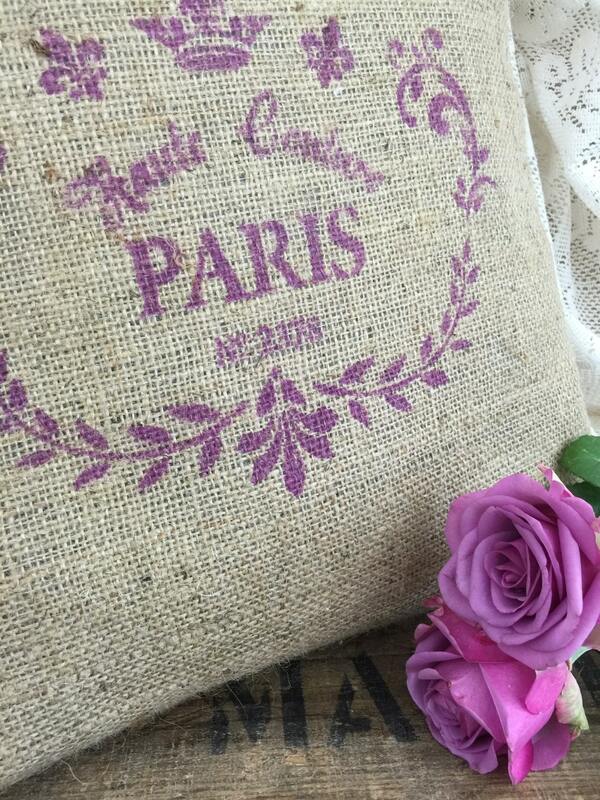 This is a pretty rustic, French farmhouse style, burlap cushion that has been hand stencilled with Pink / Lilac fabric paint and finished with two button on the back for fastening. 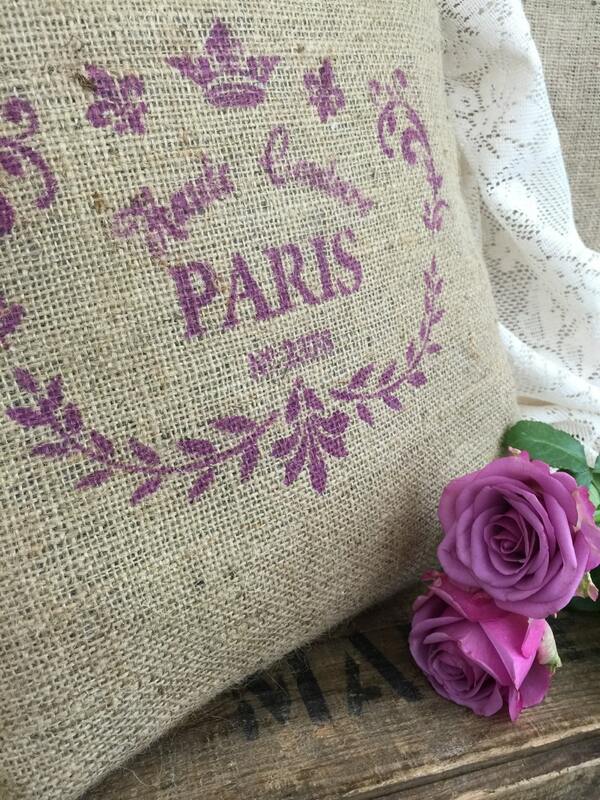 The cushion has a decorative scroll design which features the words HAUTE COUTURE PARIS. 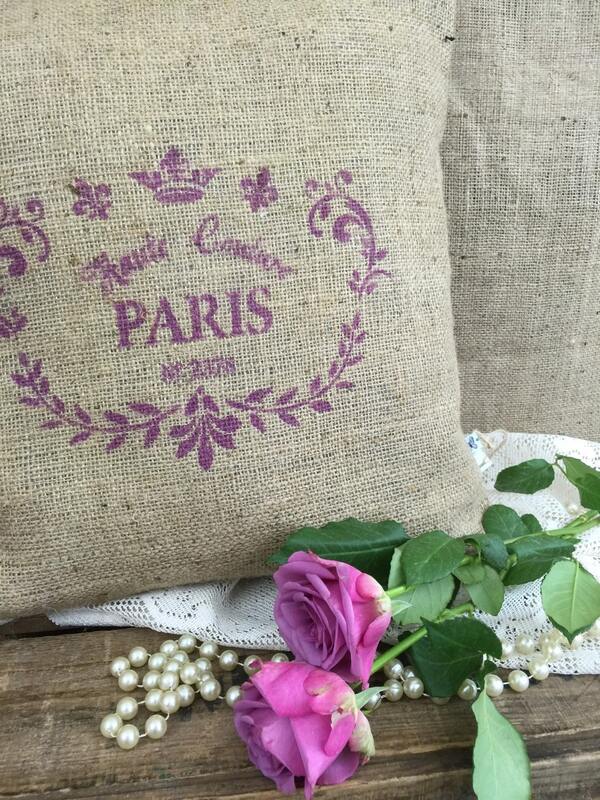 For lovers of vintage chic and rustic charm and the perfect gift for fashion lovers.